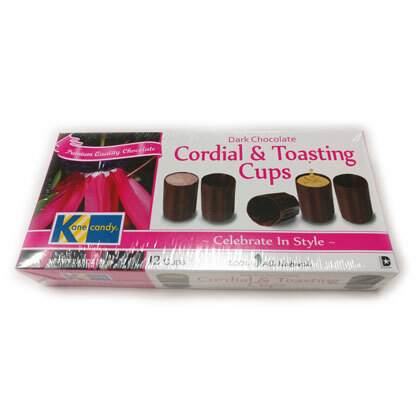 Dark chocolate cordial or toasting cups. Great for the holidays or any party. Fill with liquor, dessert or anything tasty. 12 ct box. Net weight 2.47 oz. Made in USA. Loved the cups, put pumpkin mousse in them. Can't wait to make it to your store.